Ginger Beer Cherry Vodka Soda. Who else is so ready for the weekend! I have big weekend plans of cleaning, cleaning, and well more cleaning! I never thought I would be that person that lets things get so disorganized, but you guys, my pantry and kitchen need some serious work. After months and months of basically beating my kitchen to death with non stop recipe testing and photo shoots, it’s time to put the place back together. Soo, I totally need your help! What are some of your favorite kitchen and pantry organization tips? Or even just general home organization tips? I am currently looking for places to store clothes, since my bedroom has no closest and the storage in my little barn is not all that awesome. I mean, I have plenty of food storage, but I didn’t really leave room for anything else…oops! Let me know all your tips and tricks, please and thank you! OK, but now… let’s talk Friday cocktails! 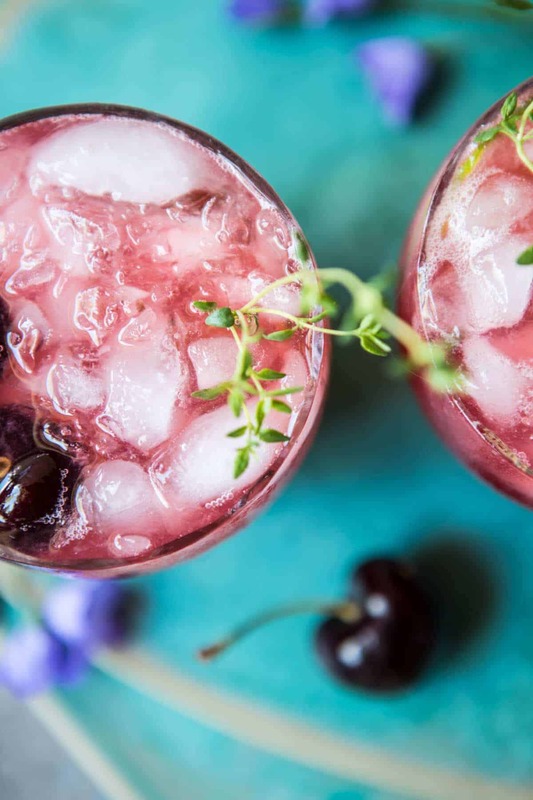 How fun are these Ginger Beer Cherry Vodka Sodas? I am in LOVE. I first got into ginger beer around this time last year, but never really started using and experimenting with it until Christmas, when I made what seemed like dozens and dozens of Moscow Mules for my crazy family. Ever since then, I’ve kind of been hooked. I mean, ginger beer is where it’s at. Just sayin. 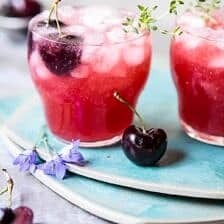 So when the thought of a ginger beer, vodka soda, flavored with fresh summer cherries popped into my head, I was pretty much SOLD within seconds. Sometimes my brain comes up with beautiful and delicious things, and for that, I am very, very thankful. Alright, so here is how this goes. Perfect easy Friday night, summertime drink, right? Soo, like, is it five o’clock somewhere? Wait!! It’s summer! Working on Friday is optional in the summer, right?!?! One round of Ginger Beer Cherry Vodka Sodas please! In a small to medium size pot, combine the cherries and honey. 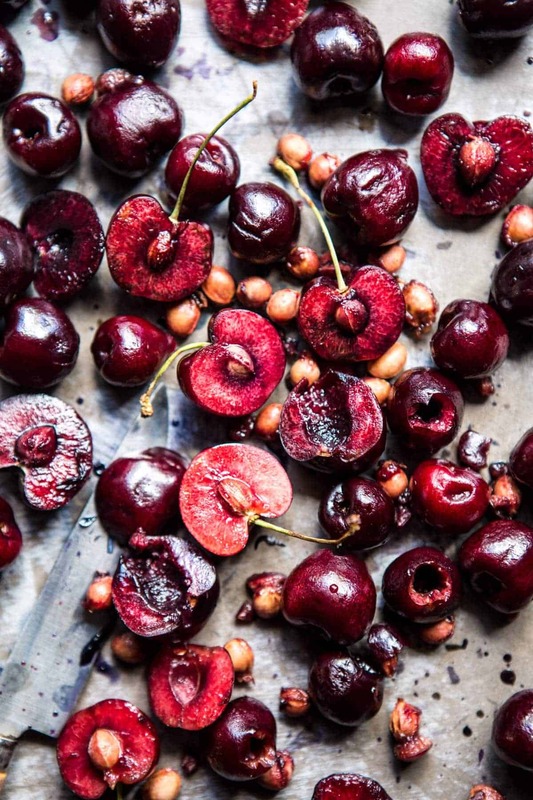 Use a muddler or just a fork to mash the cherries up until they are almost pulp like. Add 1 cup water and place the pot over high heat. Bring to a boil, stirring often for about 5 minutes. Remove from the heat. Strain the mixture through a fine mesh strainer. Chill until completely cool, about 30 minutes. Syrup can be kept in the fridge for at least one week. Fill your glass with ice. Add the ginger beer, cherry simple syrup, vodka and lime juice. Stir to combine. 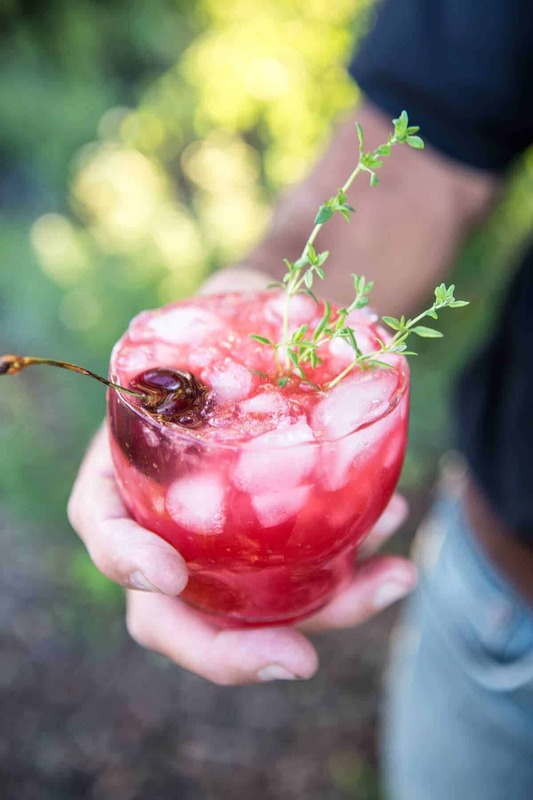 Garnish with fresh cherries and thyme. DRINK. Ready, set, GO! Happy Cherry Vodka Soda drinking! 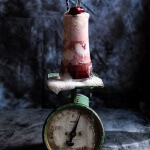 Hibiscus Cherry and Ginger Beer Ice Cream Floats. 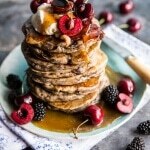 Sweet Cherry Buckwheat Pancakes with Bourbon Butter Syrup + Bacon. I used to be very much a vodka person, in my twenties. 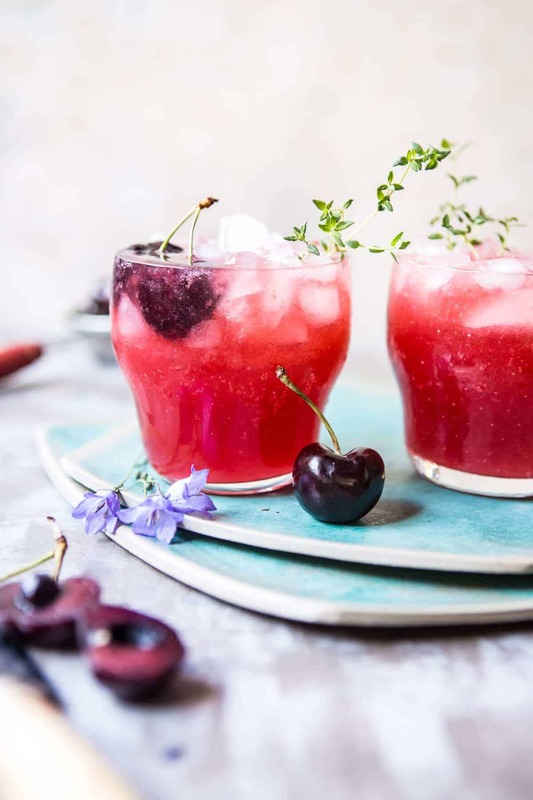 Now I’m a rum gal through and through, but the truth is I would down this one alright, it looks so refreshing and we have been under the hottest heatwave here in Portugal, these last few days!! Both are delicious! This would be pretty refreshing in A heat wave!! Thanks Miranda! Have you every consider running photography course for food bloggers? Hey Anna, I have actually and am currently working on that. It is still a long way out, but something I am looking to do in the future. I will be updating the blog as soon as I have more info. Let me know if you have any questions. Thank you so much! I totally understand the organization thing. I know in our one-bedroom apartment we used some wall magnetic storage for office stuff and I love using little plastic drawers to organize (plus you and store stuff on top of them too!). Right! You got to get creative with organizing stuff! Thanks Casey! This sounds absolutely delicious! Thanks for always creating such amazing things! (: Thank you so much Jenna! 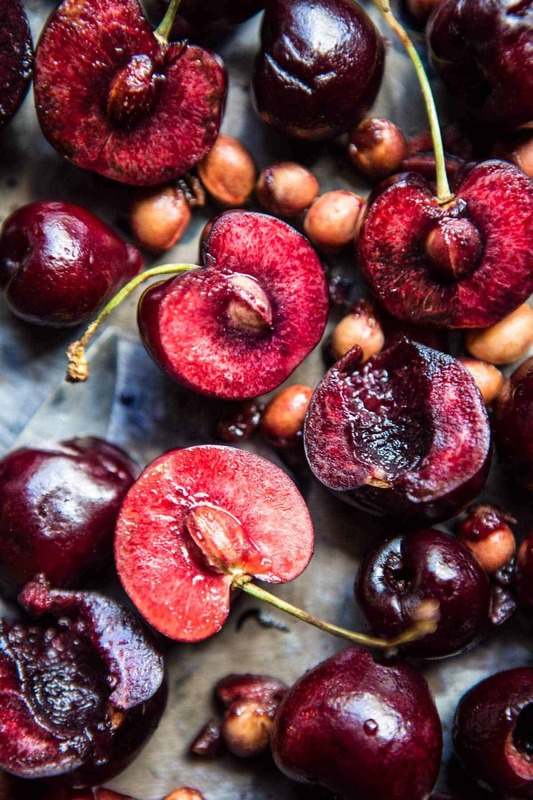 cherries are my summer favorite! What kind of camera do you use? Hi Jessica! I use a Canon 5d mark iii and A 5ds. 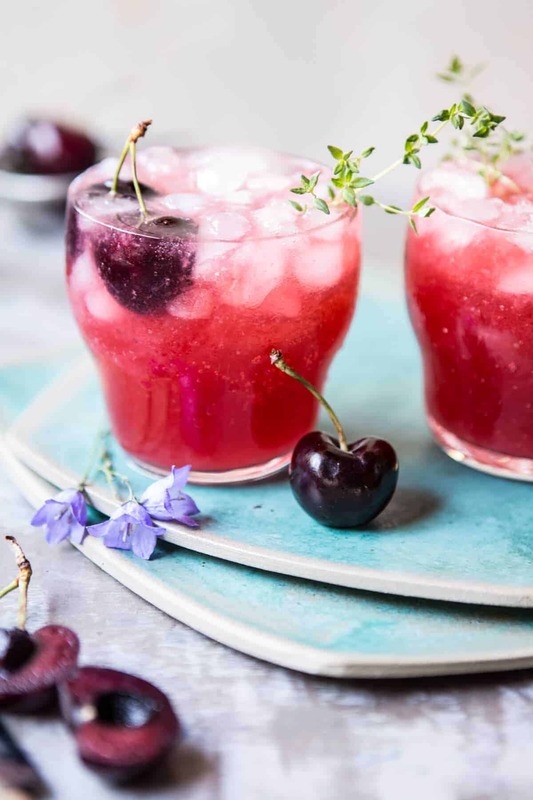 Ginger beer AND cherries!? Two of my favourite things! 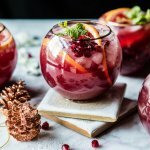 I am planning my friends hen weekend and I think this will be the perfect cocktail to make! Perfect! Hope you love them!! Looks perfect for a hot summerday. Hey Cecilia! I do the same, but I need to organize it better so I can fit more under my bed! Such a great time, thank you! Have a great weekend! Super refreshing, I love this T! I really don’t have a lot of space either, so I usually take a look at what I’m not using and let it go to make room for newness. You most definitely have more in the way of props and such… I’d say seriously looking at expansion would be a good move. I know it would be a lot of work and extremely inconvenient…but!! Yeah, its starting to look like expansion is the way to go! I can’t let go of things very easily! Haha! I am the least disorganized person in the world, but I did have a bedroom with no closet for a few years, so I know how that can be. Lots of shelf thingies, and storage thingies, and dressers, and clothes rack thingies… yeah, not that great at giving organization advice. But I am good at drinking cocktails, and this is first on my weekend list! Shelves are A great idea! Organization is so tough! Haha! Drinking cocktails is great! Hope you love them Amanda! An second, maybe you could consider placing a clothing rack, since it is not too big and really pretty; downside is more dust and no throwing clothes on a shelf hehe! Or maybe you can store ur clothes in the bathroom? Or.. throw everything out and live in a onesie..
Hey Eva! haha! LOVE you suggestions! ? The clothing rack is a great idea…the onesie? Hmm, I dunno about that! lol! Thank you and have a great weekend! I was about to comment the idea of a clothing rack but I see that some others had the same idea 🙂 Sure, you could get a piece of furniture instead but where’s the fun in that? A clothes rack is a great idea! I might have to look into getting one that I like!! Wooden is such a good idea!! Thanks Julia! 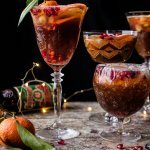 I need to start making more cocktails, these look gorgeous! 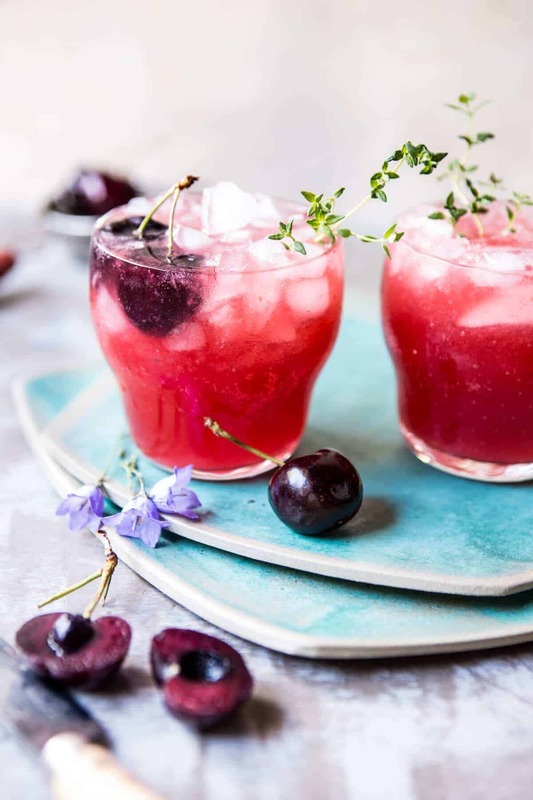 I adore ginger beer, I’ve never tried it with cherry but it sounds amazing! Ah you’ll love it Hannah!! These look absolutely amazing! Perfect drink for this weekend I think! YAY, hope you love them!! Thanks Todd (: It has to be pretty right! ?